Orchard Grove Animal Clinic is pleased to announce our new online ordering service! 1. Convenience: Even though we know you enjoy visiting Orchard Grove Animal Clinic, your local north Toronto veterinarian, it is not always possible. Our webstore gives our clients the ability to shop from home 24/7 and the products are delivered to your home in 2-3 business days, or you can sign up for our no obligation subscription service to have the food delivered at a set interval of time! 2. 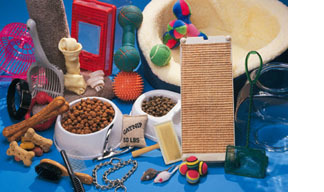 Variety: A wide range of vet-approved diets, treats and toys are available along with vitamin and supplements, grooming supplies, training aids, litter and all your other pet needs! 3. Reorder Reminders: Never run out of food or medication again; we send you email reminders a week before you are due to run out! 4. Economical: Delivery direct to your door for only $8.95 anywhere in Ontario (even to the cottage) and we’re currently offering free shipping on orders over $50. Often times your order will cost less delivered from us than it would cost for you to shop elsewhere. Our premium foods are very competitively priced when compared to foods available at pet stores, which are generally of inferior quality. 5. Support: Our experienced and knowledgeable staff is always ready to answer questions or give advice, helping you to select the best products to allow you to provide the best care to your pet. So, when you have a moment, please check out our Web Store either by clicking on this link; https://www.myvetstore.ca/ or by hitting the Web Store button on our home page. You may be pleasantly surprised!